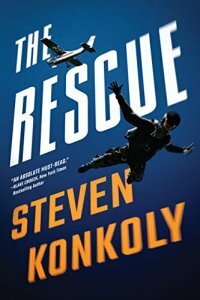 The Rescue is a book for fans of Tom Clandy and Lee Child. It features Ryan Decker, who is a mercenary that used to be a CIA operative. Here's the geat thing about this book written by Steven Konkoly - it is part of Kindle Unlimited! Meaning if you are part of it you can get this one free. This is the first book in the Ryan Decker series which is getting a lot of good press. Konkoly isn't a new author though he is very talented and this should be a good one. Pre-order it for free today. Amos Decker is back! 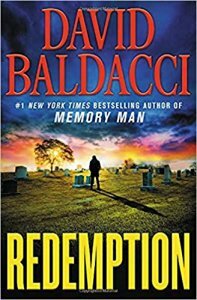 The Memory Man is one of the most popular series by bestselling author David Baldacci and I know a lot of people will be excited for this one. In the latest book Redemption, released mid-April 2019, Decker discovers a rookie detective has made a mistake. That mistake has potentially led to deadly consequences. That rookie detective? Amos Decker. In this one Decker returns to his hometown and runs into the man that he first arrested. After all these years, the man still says he is innocent even though he served his time. Did Decker make a mistake? He's going to have to dog into this cold case to find out. 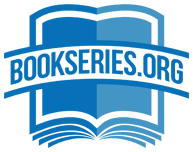 This is BookSeries.org – and our goal is to provide full and comprehensive listings of every single author there is and every series they have ever wrote both in publication order and chronological order. We provide book series in publication order and book series in chronological order where applicable. Of course with thousands of new authors popping up overnight it doesn’t make it an easy task – but we’re still going to give it the ol’ college try. Whether it’s the versatile James Patterson and the various series he writes and co-writes such as Alex Cross, or the incredible author Brad Thor and his character Scot Harvath – we aim to cover every single author and series we can at Book Series. This website is made by people who love books and we made it with ourselves in mind as book lovers. For example – all of our book lists are printable lists too. What this means is that if you want to print out the list of books an author wrote, or print the list of books in series you can go ahead and do that with just the click of a button. We cover everyone whether they’ve written a million books like Stephen King or just a few such as his son Joe Hill. This way you can easily keep track of all of an authors books, and what books you have read and what ones you haven’t read. We know from talking to people that they love to have that out on paper so they can take it to their local bookstores etc. Those are the most recent postings to the site in both the authors category and the series category. We are adding to the site every day. Not only do we add new authors and book series but we strive to be the best place for you to learn about new books. Has the latest Walt Longmire book been announced a year away? We’ll have it listed on here. Looking to see when the next Kathy Reichs book in her Temperance Brennan series is out? Just check her page and if there’s a new one coming – it’ll be listed. We aim to please, so if there is anything we can do to help you, a fellow book lover, then just contact us and we’ll see what we can do.